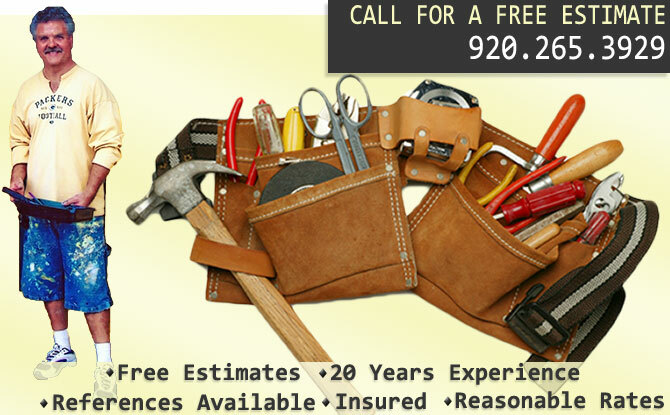 In June of 1987, Christopher Handler founded Handyman Services. A lifelong resident of Green Bay and a graduate of Green Bay East High School, he enjoys meeting all kinds of people, including the elderly and the disabled. Christopher is prompt, outgoing and an adventurous spirit who not only loves, but thrives on the daily challenges of handyman work. Simply put, Christopher is a problem solver. This is a perfect blend for today’s busy lives when so many people do not have time to conquer the challenges of home ownership or space in each day for the responsibilities of maintenance duties.